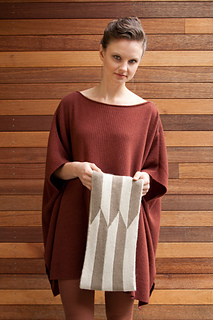 in Double-knit reverse straight stitch worked in the round with 2 strands of Cima held together. One size; 36" circumference, 10" height. 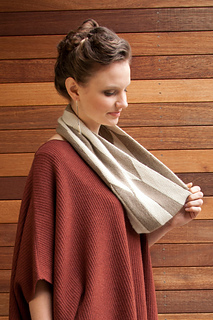 Cima held double creates a dense, luxurious fabric in this plush double-knit cowl. 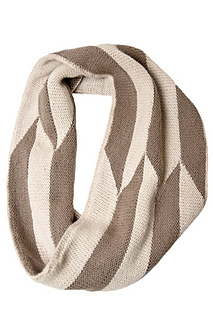 Broad contrasting stripes meet to form chevron points, giving the cowl a cool geometric allure. Modern and stylish, No. 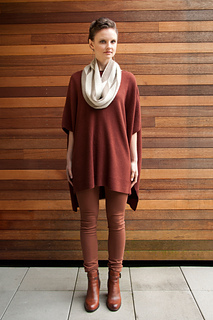 23 cowl is equally beautiful in soft neutrals or vibrant brights. The simple shape and stitch make it a great first double-knitting project!